Being Scandinavian in Florida is wonderful, exciting and eventful. The Scandinavian community in Florida is large and thriving with numerous activities and clubs to chose from you really never feel a long way from home, yet you can enjoy the Florida sun and fun. 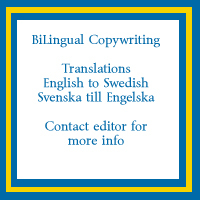 We will publish articles about everything Scandinavian in Florida and also present clubs, associations and businesses owned and run by Scandinavians. Let us help eachother grow and thrive even more by using Scandinavian businesses first and do join the nearest Scandinavian club or association. Ideas for articles and articles will be accepted, please contact the editor for information about having your article published or advertise your club or business. Email editor@skandinaviflorida.com or call 352-209-0244.